The Prime Minister has announced a Royal Commission into the Aged Care sector. The State of South Australia was shocked regarding the revelations surrounding the Oakden Nursing Home. The ABC’s flagship current affairs program 4 Corners has just screened a two part series highlighting abuse by staff of residents in nursing home facilities and the weaknesses of the bodies currently engaged to police those facilities. This blog sets out the options available to abused residents and their relatives as to civil action that may be available against the facilities where abuse has occurred. Sexual, physical and emotional abuse in and of itself is an assault. Assault is classified under the law as an intentional tort and victims of assault can sue the perpetrators of assault directly. However, in the majority of cases, the perpetrators of assault are staff members. As such, the employers of those staff can be vicariously liable for their abuse. Nevertheless, victims and their relatives will need to prove that the facility knew or ought to have known about the abuse that was occurring or the risk of that abuse occurring and did not take the necessary action to minimise or eliminate the risks. If supervisor or managers at a nursing home facility are not properly supervising staff and abuse or neglect is occurring, the nursing home can be liable. If the nursing home is employing unqualified staff and/or not providing proper training to staff, the nursing home can be liable if those untrained staff abuse or neglect residents. If the person committing the abuse is a superior or manager, the nursing home could be directly liable whether or not someone should have known about what was occurring. The problem is that the pain and suffering scale in South Australia factors in the duration of pain and suffering in assigning a number under the relevant points scale. Most residents of aged care facilities are at least in their 70s and often in their 80s or 90s. As the average life expectancy of a male is somewhere in the mid 80s and closer to 90 for a female, the expected short duration of any pain and suffering will limit the amount that a Court will award under the scale. Any past or future medical claims claimable would have to be expenses arising directly out of the abuse. Hence, a resident will have to show that he or she has suffered physical injuries arising out of the abuse and/or psychiatric injuries. If those injuries are short term injuries and not permanent, that will also limit the amount available for pain and suffering. It will also mean that treatment costs are small. As for Past and Future Care, the resident will have to show that he or she now requires additional physical care hours over and above what he or she was receiving previously due to his/her injuries and that there is a cost associated with that additional care. As any additional level of care required by the resident is likely to be absorbed by the facility that cares for them, the actual amount claimable will be limited. If a resident dies as a result of the abuse, the resident’s death actually reduces substantially the amount of compensation that the resident themselves can claim. As for that resident’s estate, they will be able to claim only damages for past medical expenses and past care up to the resident’s death. Where a resident is abused and that resident’s relative such as a spouse, child or grandchild suffers a diagnosable psychiatric injury arising out of the circumstances surrounding the abuse of the resident or the death that resident arising from the abuse, the relative will be able to claim in a nervous shock. If the relative can show that he or she has suffered a diagnosable psychiatric injury arising of the circumstances surrounding the abuse of the relative, he or she will be able to claim for their own pain and suffering, lost wages, medical expenses and care needs arising out of that diagnosable psychiatric injury. The amount claimable under these heads of damage will be determined by the extent of the psychiatric injury suffered and whether it is short, long term or permanent. Of course when someone enters an aged care facility, there is a contract between the resident and the aged care facility. It is an implied term of the contract that the resident will receive proper care. Where proper cares does not occur, the resident can also sue in contract but the remedy available will simply be a total or partial refund of fees paid during the term that the abuse occurred. Hence, while there are a number of options available to residents and their relatives to sue aged care facilities for damages for abuse, the claims will often be modest. 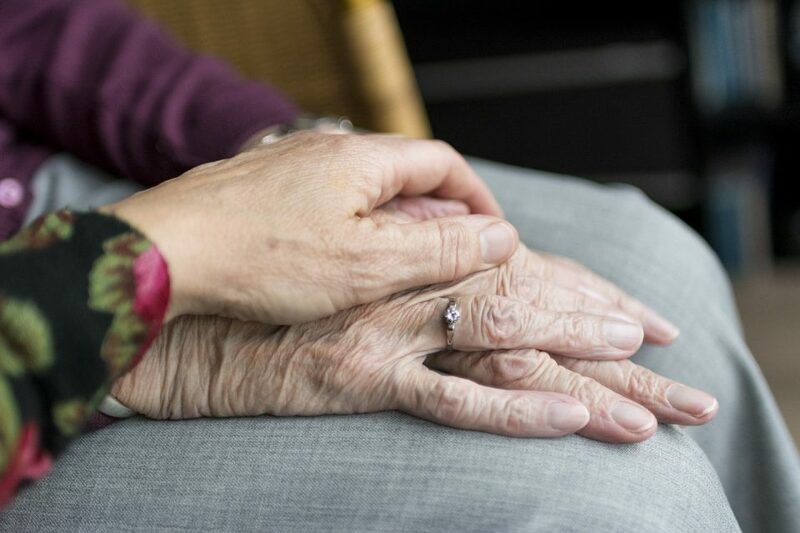 If you are a resident or a relative of resident who has been abused in aged care facility, it is worth seeking legal advice while being mindful that the compensation achievable could be modest. You can contact TGB partner Mal Byrne by registering your details here or call your nearest TGB office for an appointment.